HomeBlogFurnitureWhat’s Your Living Room Vibe? What’s Your Living Room Vibe? Winston Churchill once said, “We shape our homes and then our homes shape us.” So choose furniture that makes you feel good – and look good. A new sofa can transform your Calgary living room changing the look and ambience of the room. When choosing a sofa, consider what kind of atmosphere you want. Do you want the room to feel bright and casual with a relaxed vibe? Or do you prefer a more refined and formal environment? The vibrant and lux look might be the right style for you? If you like to surround yourself with bold colours in a relaxed but chic setting, then you need to choose an inviting and comfortable sofa. 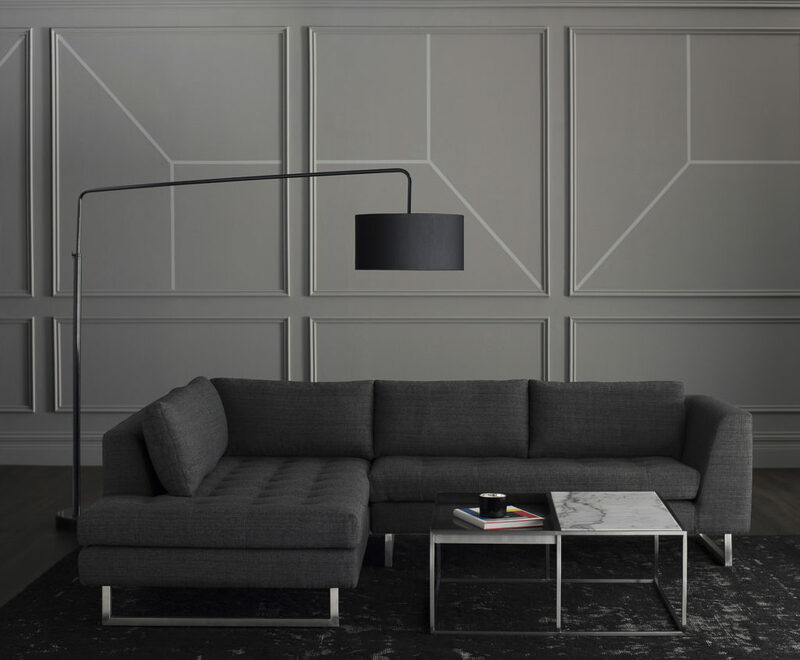 When shopping for a modern sofa in Calgary, popular choices include Scandinavian or armless sofas. If you’re looking for a contemporary option to complement a vibrant living room colour palette, the Jenna sofa at Home Evolution may be what you need. Homes with this vibe are beautifully styled and warmly inviting. The enticing Dream Modular Sectional sofa shows beautifully in rich colours of terracotta and cinnamon, and even the most formal of guests will be enticed to kick off their shoes and relax in this room. 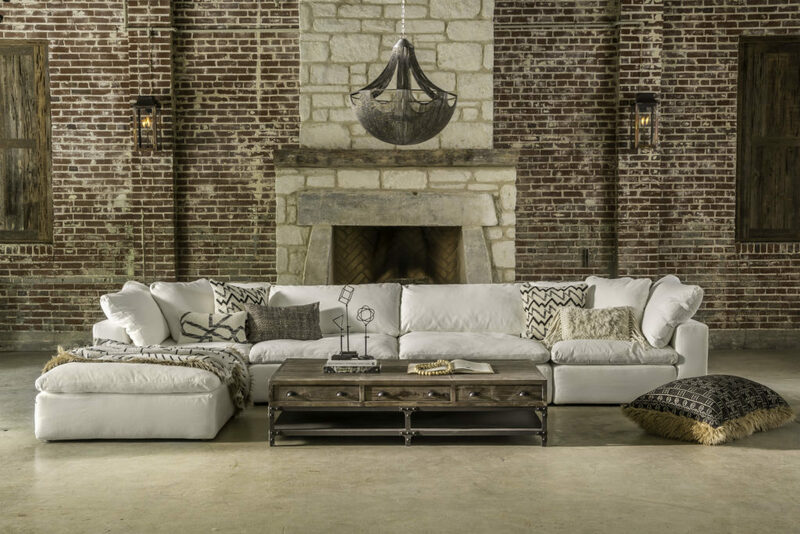 This sensational sectional brings a sense of Arabian nights and comfort. 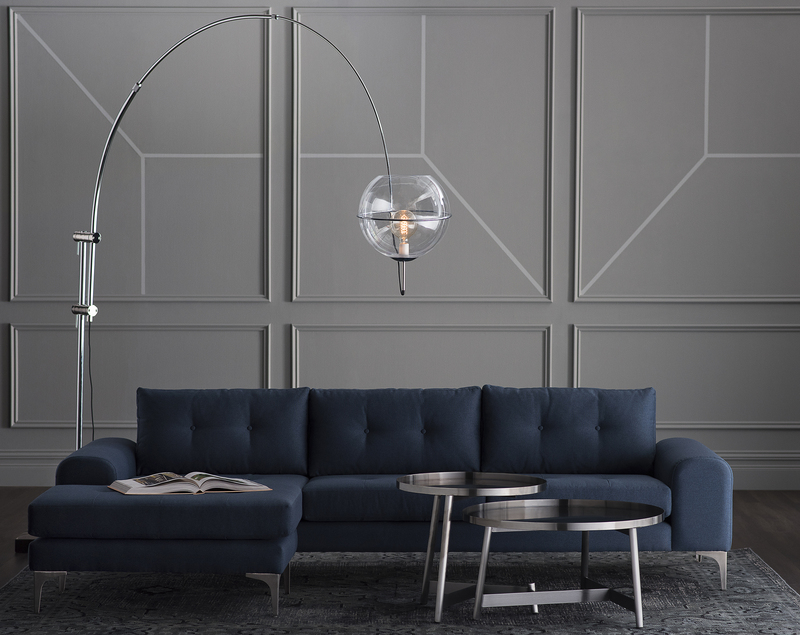 If you prefer a room that is simply sophisticated, take a look at the Grazio sofa. The European design enhances a modern, minimalist décor without compromising comfort. 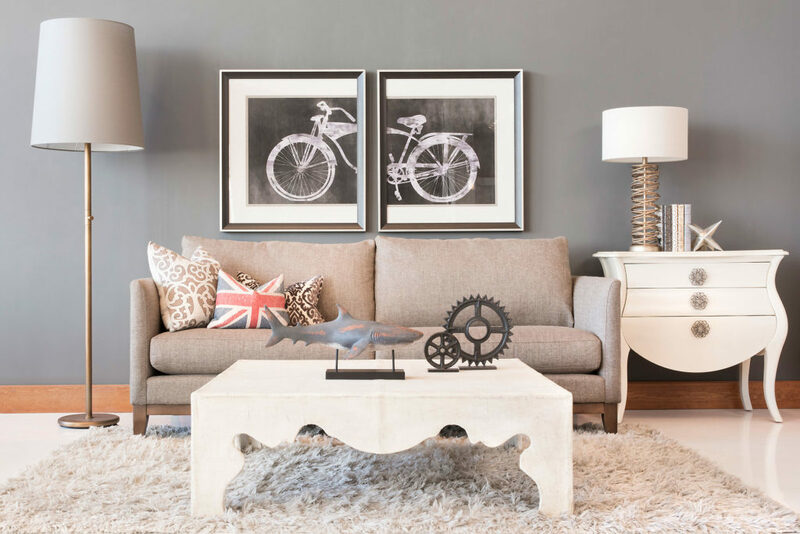 A simple leather sofa is another popular choice for simple but sleek décor and a calm atmosphere. This palette of woodland shades include earthy colors: warm browns and greys, mushroom creams and muted moss green accents. This colour combination evokes a sense of calm and that simple sophisticated vibe. At the other end of the colour palette spectrum are energizing corals and hues of pink and orange. This colour palette is vibrant, uplifting, and cheerful. If these colours are a little too vibrant, use them sparingly as accents that integrate with soft pastels. Darker colours can add character to a room. Shades of blue can be cool, but colour palettes with deep warm blues with purple tones add warmth. Complement the darker colours with light pale powder blues to add a sense of French elegance to the room. This helps bring some European flair to a room. Chesterfield, Tuxedo, Camelback, Mid-Century, Sectional, Roll-arms or no arms, Lawson or Loveseat? There are many different styles of sofa to help you create the style of room you want. For a traditional vibe, consider a chesterfield. This classic sofa creates a distinguished quality and adds timeless value to your room. The Camelback and Lawson are also traditional designs that are softer in style than the Chesterfield. 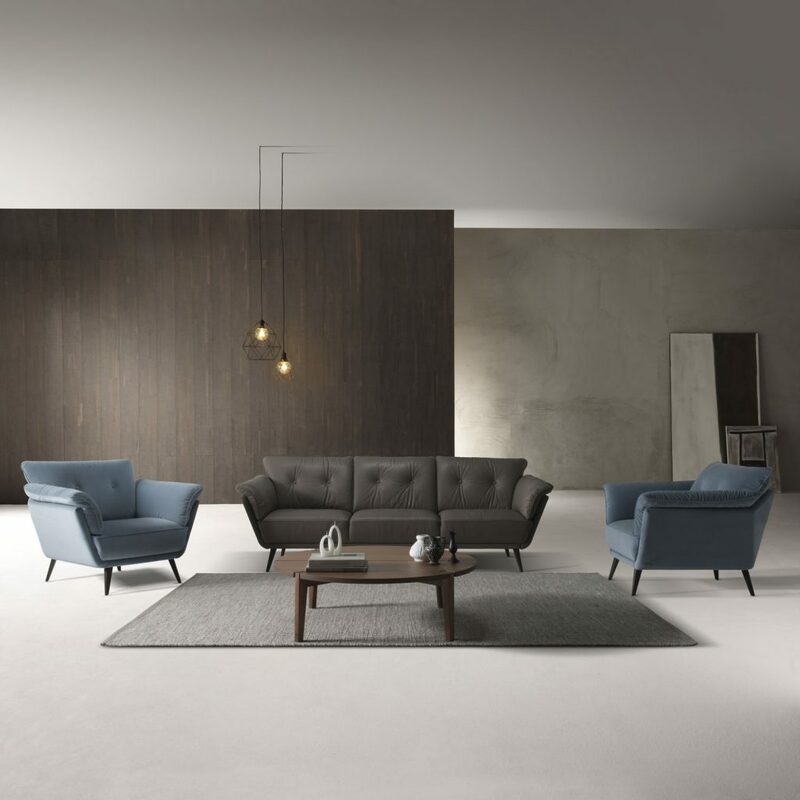 For a modern style, take a look at the wide range of Mid-Century sofas available at Home Evolution. These are available in a variety of colours and materials. The rectangular shape, clean lines and simple style makes this a versatile furniture piece that can be adapted from simple and sophisticated to comfy and cozy with the addition of a few cushions and throws. The Mid-Century sofa can be designed with arms or without, the choice is yours. 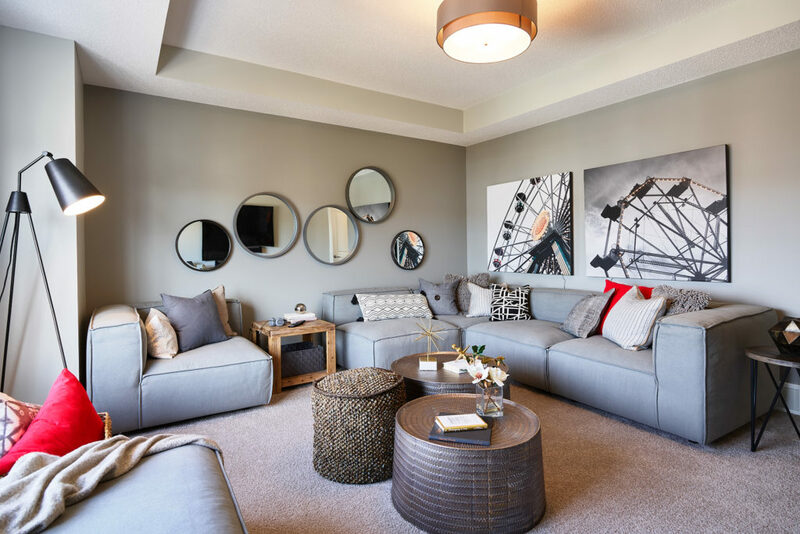 Home Evolution in Calgary offers a wide range of sofas to choose from. Our experienced design staff are always ready to help you invest in the right quality, comfort, and style perfect for your home.